In today’s busy world, a trip to the barber shop may seem like another task to check off the ever-growing to-do list. 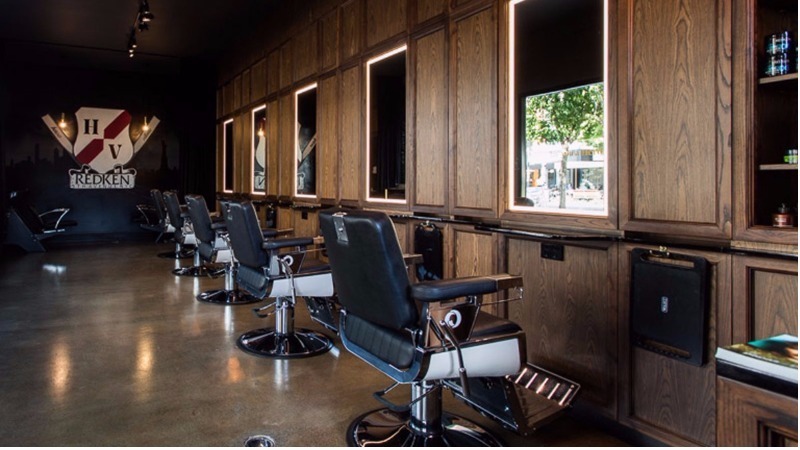 Fortunately for all you Brisbane men, a group of talented men’s stylists have accepted the challenge of changing this obligatory visit into a luxury experience. From traditional cut-throat shaves and hot towel services to world-class coffee, contemporary art, and state of the art gaming entertainment, this new breed of barbers pull out all the stops. 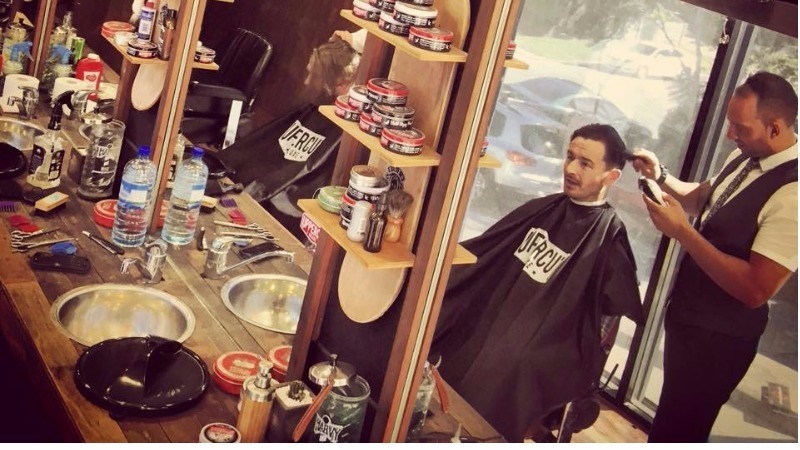 To ensure you receive expert grooming next time your hair requires urgent maintenance, we’ve tracked down the best barber shops in Brisbane. Launched in 2015, this new kid on the block has rapidly made a name for itself as one of Brisbane’s best barber shops. Catering to men of all ages, The Chopspot fuses urban culture with the old world nostalgia of traditional barber shops for a truly unique experience. Sit back and relax with a complimentary beverage while these professionals treat you to a high-quality cut or shave. 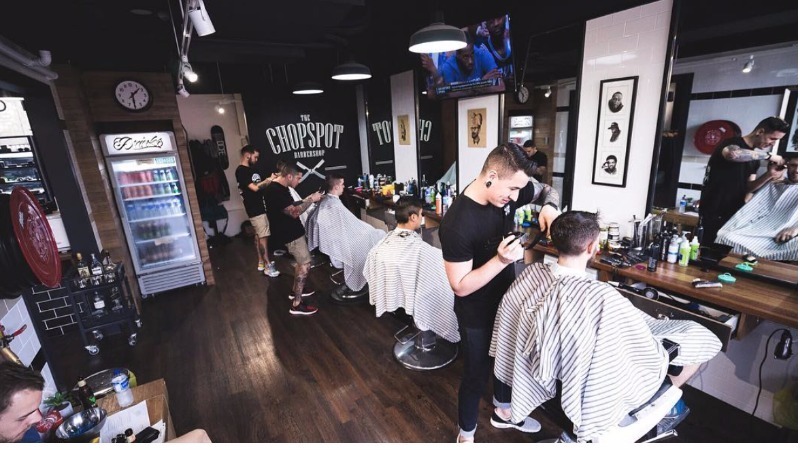 Drawing from the past, The Chopspot also offers straight razor neck shaves and a hot towel service, so you can feel like a true gentleman as you step out onto Brisbane’s vibrant West End. Langanis Barber takes the world of men’s barbershops to new heights, combining unique art, premium entertainment, modern hairstyling and mouthwatering coffee. Created by Michael Langanis, this raw, urban salon offers a new experience each time you walk through its doors. Not only a leading barbershop, Langanis Barber also prides itself on promoting local artists and photographers. In this contemporary setting, fresh artworks decorate the walls, creating a constantly evolving gallery space. If art isn’t your thing, kick back with a turn on the PlayStation gaming system. 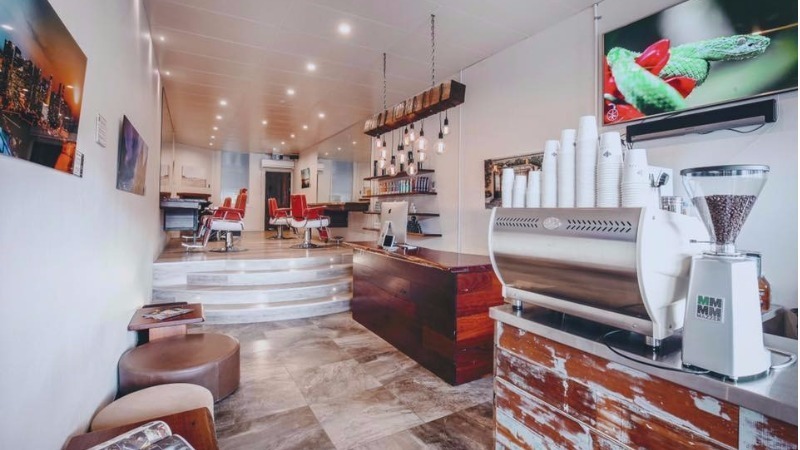 With a cold beer or hot coffee on offer from the in-store espresso bar, this is one barbershop you won’t want to leave. 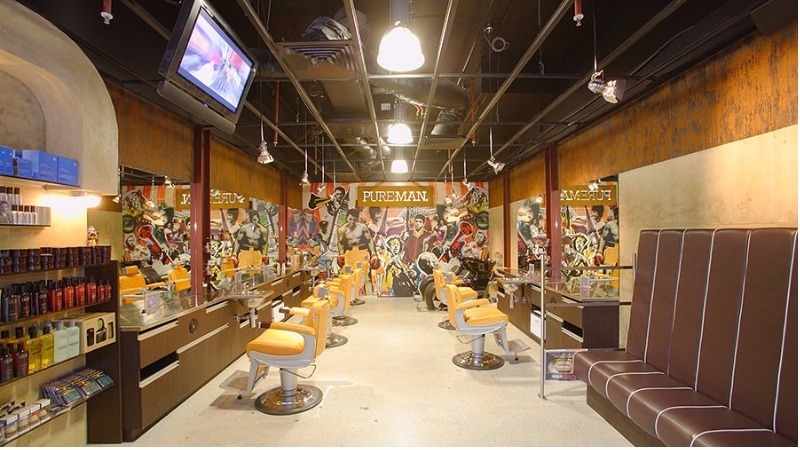 At Pureman, men are treated to an elegant old-world barber shop experience with a fresh, modern twist. Catering to the needs of a 21st-century gentleman, they offer expert grooming and stylish cuts, as well as grooming and skin care products proudly designed and manufactured in Australia. With a focus on native Australian ingredients, the products both used and sold in the store contain no parabens, sulphates, synthetic fragrances or animal-derived ingredients. From moustache or beard styling and trimming, to shaves, buzz cuts or style cuts, Pureman has you covered. While the team works their mastery, relax with some retro tunes and browse the latest news and entertainment on one of their available Ipads. Created by industry leaders Dmitri Papas, Justin Pace and Tim Hanlon, Heroes + Villains Barber shop is a leading grooming destination created by men, for men. For gents seeking award-winning service, the talented team at this West End shop place emphasis on style, service and precision cutting. Whether you’re there for a tailored cut, full clip, classic buzz cut or a Redken camo colour treatment, you’re sure to make a statement after a visit to these barbers. With sleek charcoal walls and feature wood panelling, Jimmy Rods provides a masculine oasis of relaxation and comfort. In this laid-back environment, men can find expert barbers, fast, quality service, and a price that won’t break the bank. 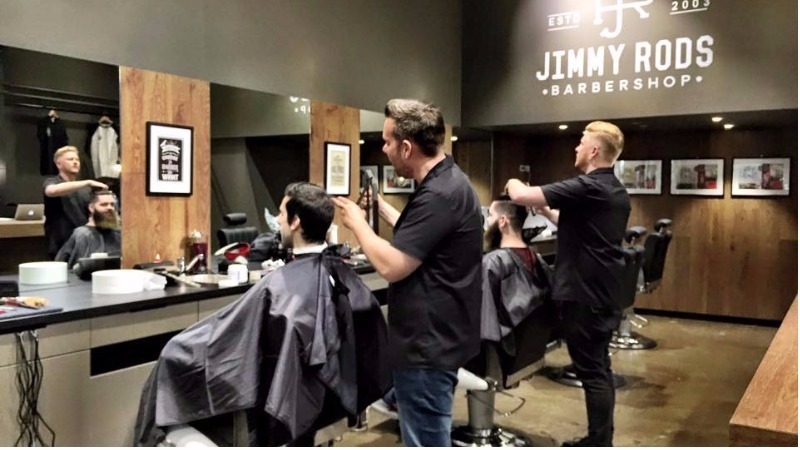 Having been in the business for 12 years, store owner Jimmy Rod has well and truly established his brand with nine successful barber shops and multiple locations across Brisbane. Escape from the office with a visit to this stylish man cave of leather couches, PlayStation game systems, and talented barbers. Reminiscent of an old-school barber shop, The Men’s Lounge Barber provides a wide range of cuts and styles for the modern man. Be transported to a nostalgic world of the past as you relax on the red leather couches, surrounded by warm wood panelling and a lively team of barbers. 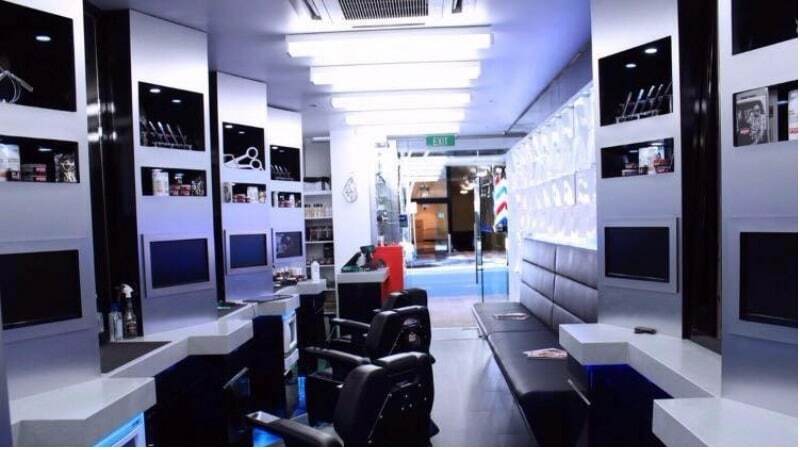 Whether you’re a young man after a fresh new cut or a father taking his son for his first barber shop visit, the expert team will ensure you leave this lounge with no regrets. With three locations across Brisbane, men looking for an exceptional grooming experience are spoiled for choice when it comes to The Emporium Barber. 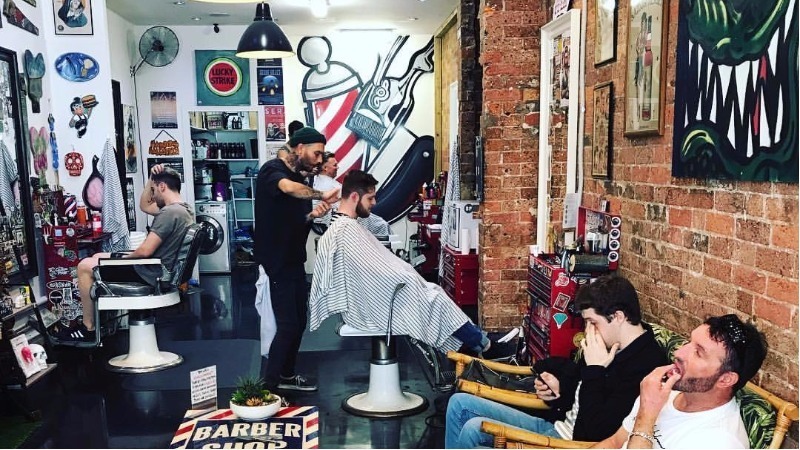 This boutique men’s barber shop offers the full grooming service, specialising in cut-throat shaves and fashion-forward haircuts. Enjoy a complimentary cold beer after a long day or a steaming coffee to get your morning going as one of Emporium’s professionals works their magic. Despite its electrifying name, this is one high voltage barber shop you’ll be running to return to. With luxurious black leather chairs and polished, silver walls, the modern layout of The Electric Chair reflects the team’s forward-thinking technique and razor-sharp attention to detail. For gentlemen looking for a last minute shave, trim, fade, or cut, the talented team at this barber shop cater to all schedules, with no appointments required. 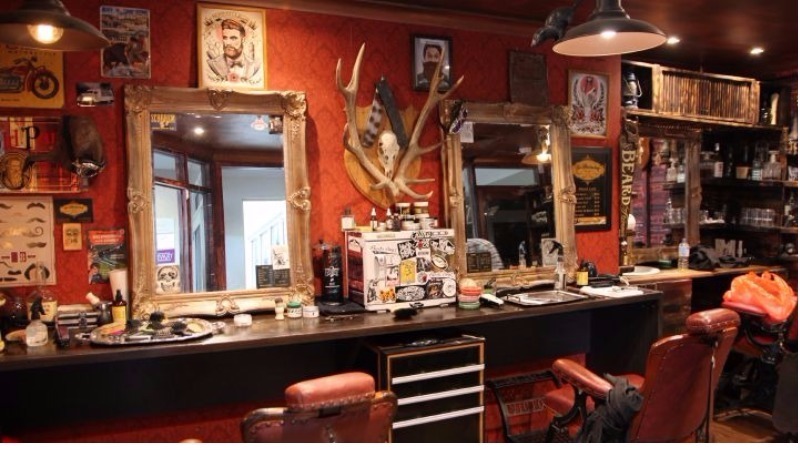 Crown and Co’s edgy barber shop in the middle of Fortitude Valley is a crowd favourite for its old-school service and downtown attitude. Pay a visit for an expert cut-throat shave, razor fade, classic cut or anything in between. With the laid-back atmosphere and complimentary drinks, you’ll find you won’t want to leave. Available for booked appointments or walk in services, this relaxed barber shop is destined to become your new favourite. Offering a unique loyalty program, Crowd and Co ensures their regulars feel the love. Each time you visit, you’ll be awarded ‘loyalty dollars’ to go towards your next haircut or to purchase in-store products. Finally, make sure to give adorable shop pug Wenny a pat as you leave with your stylish new look. 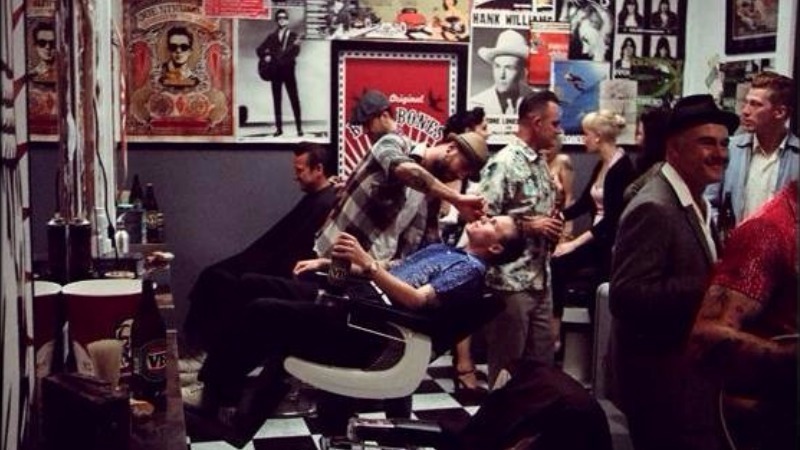 Vintage posters of fifties icons and punk rockstars cover the walls of the effortlessly cool Bare Bones Barber Shop. Having been in the business for nearly two decades, the popularity of this styling haven is evident by the always present queues. But don’t let that turn you off paying this leading barber shop a visit. With seven chairs and a hardworking, expert team, you’ll never have to wait long. Stepping into The Moustachery Barbering is akin to entering the ultimate men’s den, where modern styling meets traditional values. Dark leather couches, old school posters and an elegant pool-table transform this space into a barber shop of days past. Here, not only can you leave with a fresh new cut or shave, but you may also purchase items from their wide range of premium men’s grooming and skin care products. With three locations across Brisbane that are open seven days a week, this store is a winner for even the busiest of gentlemen. 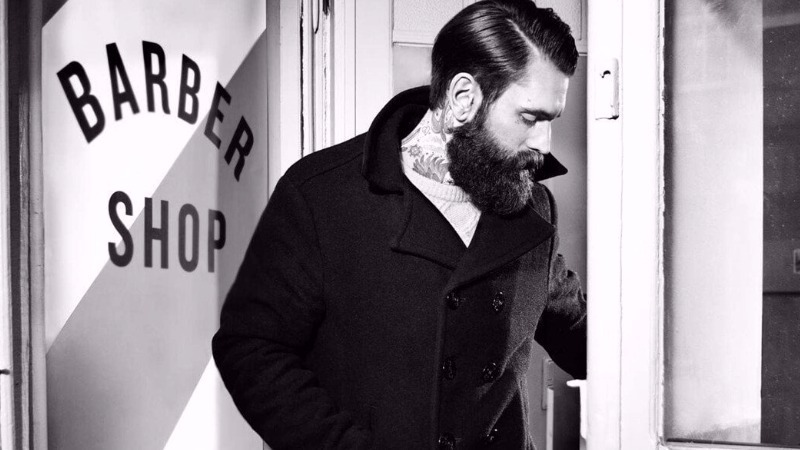 This luxury men’s barber shop caters to the stylish, modern man. From the classic to the creative looks, this team of highly accomplished professionals are ready for any challenge. 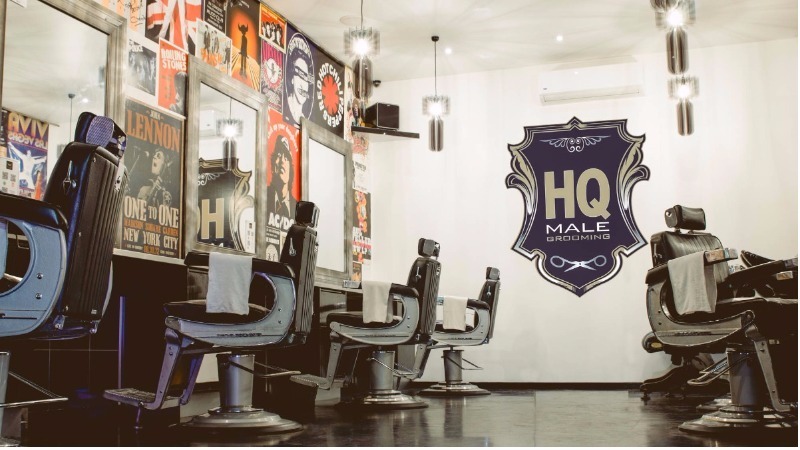 At HQ Male Grooming, the barbers strive to ensure each service is tailored to the individual client. Therefore, not only will you leave this modern salon looking your best, but they will also provide you with invaluable advice on how to maintain your new look in-between visits. 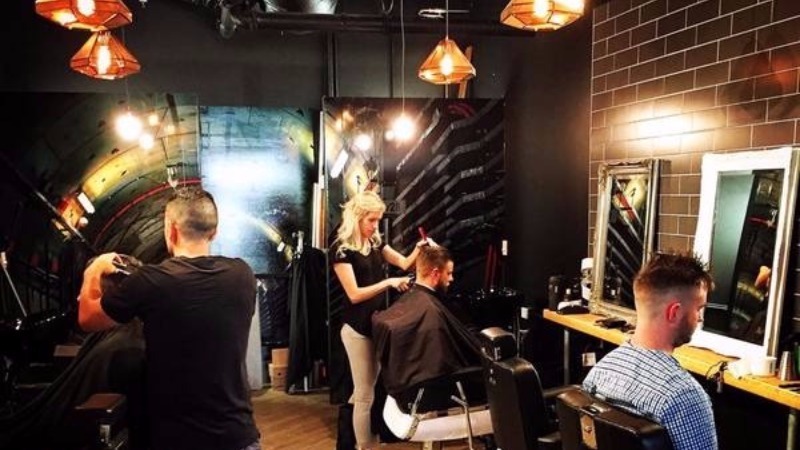 Led by salon owner, Jon Miller, the relaxed atmosphere of HQ Male Grooming has made it one of the leading destinations when it comes to Brisbane’s barber shops.